Elizabeth 'Liz' Murphy Burns, the President and CEO of Morgan Murphy Media, which owns KXLY, was honored Tuesday with a Giants of Broadcasting Award. The honor, presented by the Library of American Broadcasting Foundation, celebrates innovators, journalists, leaders, performers and producers. Elizabeth Murphy Burns joined this year's class, which includes Jack Abernathy, CEO of Fox Television Stations; actor Ed Asner; 60 Minutes correspondent Bill Whitaker; and TV/radio host Ryan Seacrest, among others. Murphy Burns is a third-generation owner of Morgan Murphy, the company her grandfather started in 1890 as the Evening Telegram Co. in Superior, Wisconsin. It has grown to include TV stations, radio stations and other publications in Wisconsin, Washington, Texas and Missouri. The company purchased the radio station KXLY and KXLY-TV in Spokane in 1961. In 1970, Morgan expanded his empire again, this time starting Apple Valley Broadcasting in Yakima, which soon expanded to Pasco-Kennewick. 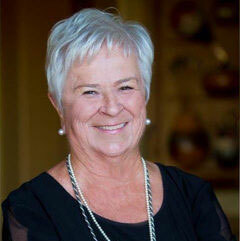 In addition to her leadership in the company, Murphy Burns is seen as a pioneer in broadcasting. She was the first woman named to the CBS affiliate board and one of the first women to serve on the National Association of Broadcasters board. She is seen as a leader in innovation with a commitment to journalism and community. On his show 'Live with Kelly and Ryan' the day after the ceremony, Seacrest talked about Murphy Burns and her speech at the ceremony. "She's a true pioneer," Seacrest said of Murphy Burns' contribution to the development of HD technology. "She's doing her speech and she's smart and charming and funny. Then, she looks at her husband and says - and, this is when I lost it - 'I just want to thank you, you are my life's song.'" Following a year of record-breaking sales in 2017, Christmas Tree Elegance is prepared for even more visitors in 2018. Christmas Tree Elegance will be held at the Davenport Hotel and River Park Square from Tuesday, November 27 to Sunday, December 9. Christmas Tree Elegance is a raffle of 18 custom-decorated trees with prizes which include gift certificates, items and cash and a Father Christmas sculpture. The chance to win one of the decorated trees and all its themed gifts has been a Spokane holiday tradition for 36 years. Thousands from across the Inland Northwest come to view trees and purchase $1 raffle tickets for a chance to win. The 355,000 tickets sold in 2017 was up from 272,000 in 2016 for the event produced by Spokane Symphony Associates, a 300-member organization of volunteers who raise funds to support the Spokane Symphony. 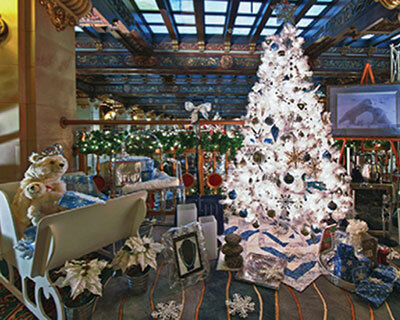 Twelve decorated trees and an Old World Father Christmas sculpture by Elizabeth Raol will grace the mezzanine of the historic Davenport Hotel. Sales for the Davenport trees and Father Christmas will end at 9pm on December 8 with the drawing for winners to follow. Six holiday trees will line the second floor corridor at River Park Square. Sales for the River Park Square trees will end on December 9 at 4pm with the drawing to follow. Elizabeth Raol, Christmas Tree Elegance Co-Chair and creator of the Old World Father Christmas sculptures that have been a part of the raffle for 11 years, will be featured on KSPS 'Northwest Profiles' Thursday, November 22 at 7pm and again on Friday, November 23 at 10:30pm. Spokane Symphony Music Director Eckart Preu and members of the orchestra, known as Eckart and Friends, will present programs of popular favorites at two Holiday Luncheons on Tuesday, December 4 in the Grand Pennington Ballroom and Wednesday, December 5 in the Marie Antoinette Ballroom, both in the Historic Davenport Hotel. These performances will be the last of its kind as Eckart Preu will conclude his tenure as music director in May 2019. For more information, visit cte-ssa.corlinc.com. 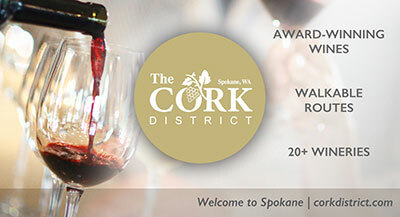 Coeur d'Alene's All Things Irish is turning 20 years old! Founded November 29, 1998, All Things Irish, at 315 Sherman in downtown Coeur d'Alene, is celebrating 20 years of bringing a bit of Ireland to the Inland Northwest. The store expanded to almost twice its size in 2007. 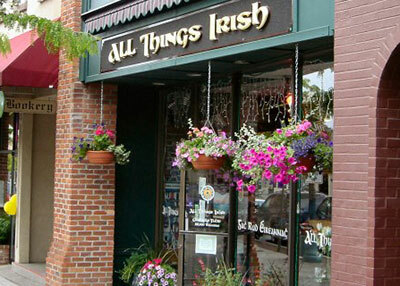 All Things Irish sells a wide selection of Irish gifts and Celtic treasures for all occasions. Items include Celtic wedding rings, Irish hats, Heraldry Items, Irish Claddagh Rings, Belleek China and more from the most popular Irish and Celtic brands. Their expansive online store at AllThingsIrish.com allows users to browse and search the large stock of Irish gifts. Built on the latest e-commerce technology, the online store is a fast and secure way to shop for all things Ireland has to offer. Everyone is invited to join their celebration November 29 through December 2 with a 20% discount on everything in the store. 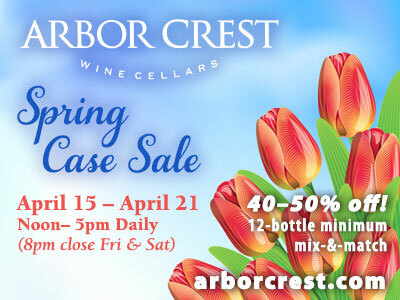 Refreshments, and prizes each day. The phone number is 208-667-0131. Luna, at 5620 S. Perry (at 57th), is celebrating 25 years of fine dining. Opened in 1993 by William and Marcia Bond, Luna has been owned and operated by Hannah and Aaron DeLis for the past four years, keeping the same high quality food, wine and service that was started by the Bonds. As a locally owned restaurant, Luna is committed to supporting the local food community, specifically Casa Cano Farms, Spokane Family Farms, KJ Pottery, Culture Bread Milling, Doma Coffee and Spiceology. The result is a fabulous menu featuring some of the finest dishes and wines in the country. The phone number is 509-448-2383 and the website is lunaspokane.com. HUB Sports Center is a 501c3 nonprofit organization with a purpose to provide events that have a positive impact on youth and the community. The HUB, located in Liberty Lake, just north of Freedom RV and Camping World, is closing out their 7th consecutive year with a positive cash flow while serving over 175,000 youth and families for 2018. There is an excellent opportunity between now and the end of 2018 to pay off the mortgage on the facility. They started the HUB 300 Club at the end of this summer, and are seeking 300 people/organizations to donate $1,000 to retire the debt. The HUB 300 Club has already raised $54,000 and now have a matching challenge from an anonymous donor for $50,000 who will match all contributions between now through the end of the year. Completing this challenge will free up additional cash flow and provide financial resources to invest in our outreach programs like: HUB 360 afterschool program, HUB Police Activity League, Homeschool PE, Dad & Dudes Night, and Mother-Son Gym Jam. More details are available at www.hubsportscenter.org/hub300club. Or contact Phil Champlin, Executive Director, HUB Sports Center at phil@hubsportscenter.org. 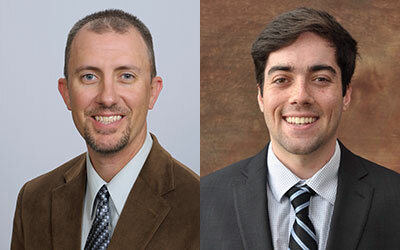 Rory McKinnon joined Spring Environmental, Inc. as an environmental, health & safety (EH&S) consultant. He earned a Bachelor's of Science degree in Business Administration from Trident University and recently retired from the US Air Force after 21 years of service. Rory provides safety and industrial hygiene services and conducts hazardous materials and compliance training seminars at Spring Environmental. David Finley, E.I.T. joined Spring Environmental, Inc. as an environmental, health & safety (EH&S) consultant. He graduated from Northern Arizona University with a bachelor's degree in Environmental Engineering. David completed internships at Ruger Firearms in Prescott AZ and Coconino County Community Development Dept. in Flagstaff AZ prior, and worked most recently as associate safety and environmental engineer with TSI Semiconductors in Roseville CA. David consults on air quality and stormwater issues. Josh King with his partner and wife Natalie started Tinderbox Consulting in early 2013 with the mission to serve God by serving others. But, after six years, they realized the name didn't quite match what they do. Consulting isn't exactly specific in terms what kind of services they offer. So they have slightly rebranded the company Tinderbox Marketing. The company is passionate about serving small businesses, entrepreneurs, and even non-profits. Their goal is to help clients sort through the mess of running a business by offering tailored business, marketing and sales consulting. 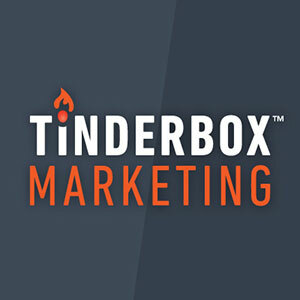 Tinderbox Marketing offers a no-charge marketing review. Go to tinderbox.marketing or call 509-570-6846 for more information. Want to have an impact on our state's legislation, but not sure what to do? Here's an opportunity to learn from legislators, lobbyists, and volunteers about how to influence legislation that you care about. The League of Women Voters, one of the most trusted organizations in politics, focusing on policy, can help you. The League's Legislative Action Workshop for 2019 Washington State Legislative Session is December Saturday, December 1, from 9:30am-–2:30pm at the Spokane Women's Club 1428 West 9th Avenue. Register for this no charge event at lwvwa.org/event-3092402/Registration. Congratulations to No-Li Brewhouse! 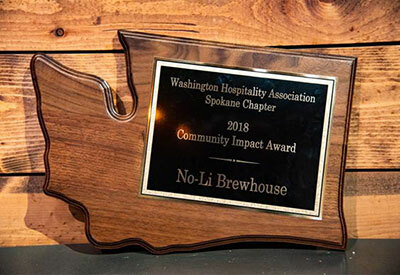 They were recognized last week by the Washington Hospitality Association with the 2018 Community Impact Award. This is a reflection of the great people, values and roots in the community surrounding No-Li that make the Northwest such a great place.